The Pines: Another lovely par 3. With two bunkers down the right and the prevailing left to right breeze often felt on the tee can easily trick players into over doing their left sided approach. 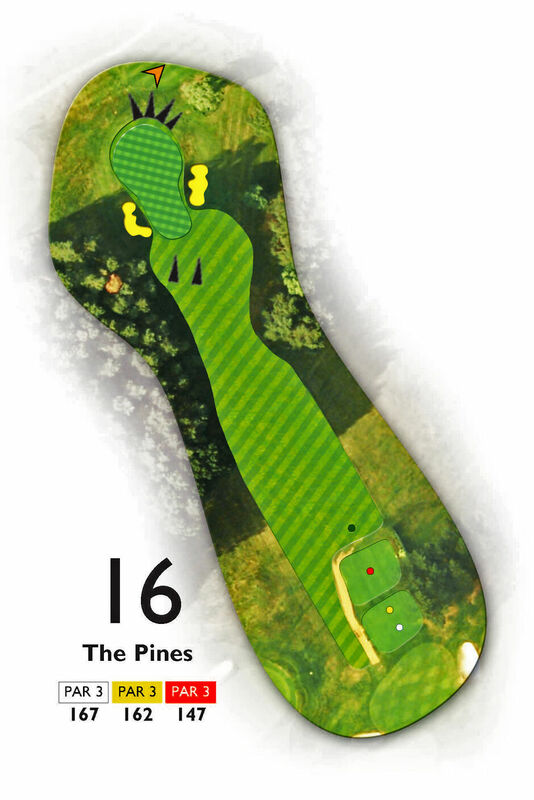 The tall pine copse running down the left side often brakes any wind, leaving players bemused as their ball stubbornly refuses to bend and finds the left bunker. Unless the pin is tight to the back of the green, again, play enough club.